One would probably spare only a few moments of consideration at the receipt of a wedding invitation. 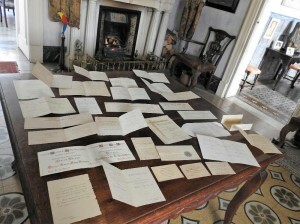 However, for Baron Igino de Piro d’Amico Inguanez, these endearing solicitations were cherished so much that he kept a collection of them, neatly separated according to their date and wrapped up together by a string. 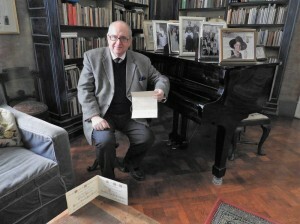 “Were it not for my grandfather’s interest to keep these wedding invitations, we would have lost this fascinating information which can be unravelled within each one of them,” remarked Marquis Nicholas de Piro as we walked towards an elegant table in one of the rooms at Casa Rocca Piccola where he had layed out a number of these invitations. I glanced out at the wide selection of wedding invitations tastefully set on the polished wooden surface, noticing the different sizes, shapes, writing, designs and paper. The earliest ones dated back to 1815, 1829 and 1832. They were quite plain and small, slightly bigger than a credit card, and written in Italian. “Here are two of the prettiest ones” said the Marquis as he pulled them out of the rest. 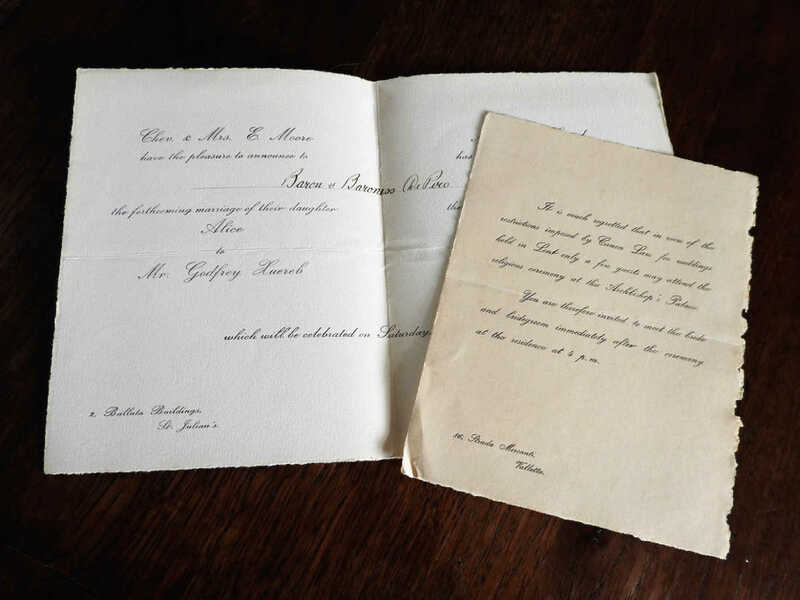 These two invitations had been issued at the end of the 19th century. They were larger than the earlier ones and were quite different from each other. 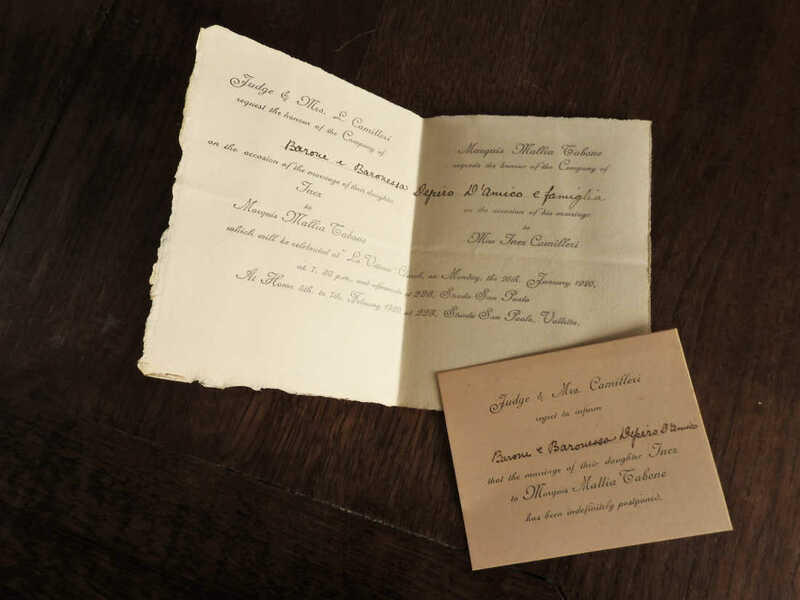 The one dated June 1896 was elegantly designed with an intricate cross at its corner and consisted of an invitation to the wedding between the noble Maria de Piro and Dr. Alfredo Stilon. The other one dated October 1899 was more colourful and rather than an invitation, it was more an announcement of the wedding which was to take place between the noble Maria Teresa de Piro and the Marquis Paolo Apap Bologna. Once again, both were written in Italian. “Now look at this note which accompanies this wedding invitation,” said the Marquis as he handed it to me. The presentation of this wedding invitation was simpler than the previous two and the writing was in English. Here, Judge and Mrs L Camilleri were requesting the company of Baron and Baroness I de Piro d’Amico Inguanez and family to the wedding of their noble daughter Inez to Marquis Mallia Tabone on 26th January 1920. Yet this celebration was not destined to take place as a smaller card which was sent some days later informed those invited that this wedding had been indefinitely postponed. ‘It is much regretted that in view of the restrictions imposed by Canon Law for weddings held in Lent, only a few guests may attend the religious ceremony at the Archbishop’s Palace. As we followed the different invitations that were sent along the years to Baron Igino and his family, we could also trace some of his friends and acquaintances, their residences, the chapels and churches where the marriages took place, and the selected locations for the wedding receptions. Although many of the churches still exist today, some of the street names had changed from Italian to English or were altered completely. A number of the residences mentioned have become quite renowned today whilst a few others were turned into commercial properties. Sadly, some of the lovely villas which provided exquisite entertainment in the bygone days were demolished to make place for large modern complexes. Amongst these, there was the wedding between Hilda Scicluna and Paymaster Lieutenant W Eric Brockman that took place on 4th March 1928. Their marriage was celebrated at the Archbishop’s Palace in Valletta which seems to have been quite a popular venue for such occasions. On the other hand, the reception was held at the bride’s parents residence that was located at 86 Strada Merkanti Valletta; a house which originally belonged to Sir Oliver Starkey, Bali of Aquila and Latin Secretary to Grand Master La Valette. Being an English Knight, he had assisted the Grand Master during the Great Siege of 1565 and was later given the privilege to be buried in the crypt of the Co-Cathedral of St John in Valletta, close to La Valette’s own burial place. The Cathedral in Mdina seems to have been another prominent place for marriages. On 24th January 1937, Adelina Maempel was married to Edwin England Sant Fournier. A reception followed at Villa Luginsland in 26 Boschetto Road, Rabat; a lovely villa which was built by Baron Max von Tucker, the German consul who was serving in Malta in the early 20th century. Unfortunately in recent years years, this remarkable place was in an abandoned state and had a haunting atmosphere. 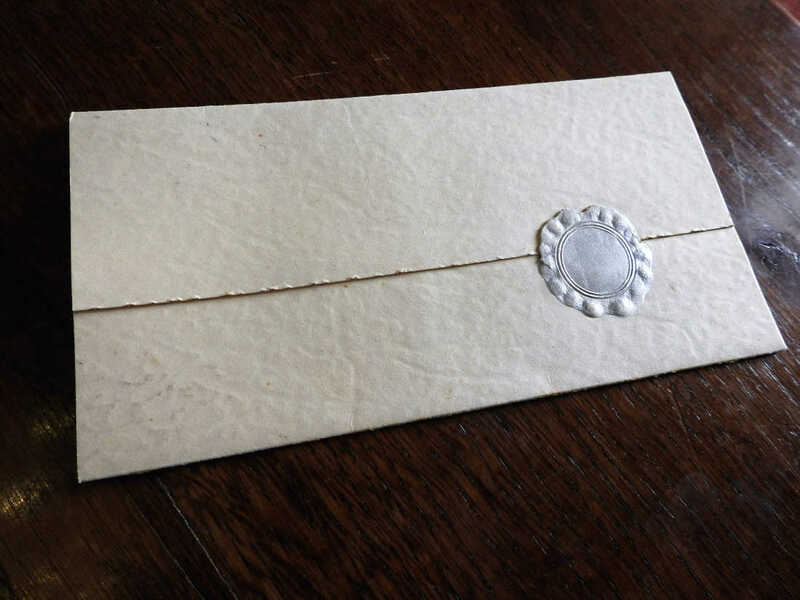 The only wedding invitation which came from Gozo looked quite distinguished and it boasted a silver wax seal. The marriage of Carmela and Paul Vella took place on 4th August 1937 and their reception was organized at the Duke of Ediburgh Hotel in Victoria, Gozo. Alas, in recent years, this splendid hotel that was beautifully constructed in Victorian architecture was demolished in order to make way for a commercial centre and a number of residential units. 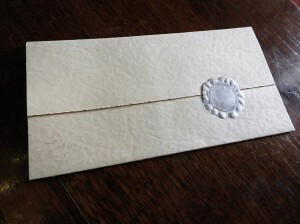 “As you have already noted, some of these wedding invitations pertained to our relatives. Incidentally, this one which announces the marriage between my aunt Mona de Piro to Major John E J Nelson on 28th December 1940 is a favourite of mine, particularly because she was quite a character and she kept her high spirits even when she was aged more than ninety. Well, she’s there, looking at us!” the Marquis exclaimed as he pointed to a delightful portrait on the opposite wall. My eyes met with those of a young, graceful girl, defiantly posing with an off-the-shoulder silver dress which melted in the greyish background behind her. “That portrait created much talk when her relatives saw it since it was regarded too sensual at the time. It was commissioned by her Italian boyfriend, Marquis Onofrio Bartolini Salinbeni, and the painting was done by Arthur Acton who lived in a palace in Florence. 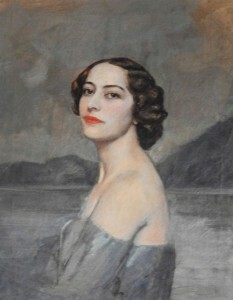 Onofrio was madly in love with Mona but unfortunately, their relationship ended and when she returned to Malta, a relative of hers went to Italy to claim this painting since it was not deemed fit for him to keep it,” smiled the Marquis as he went to add some logs to the fire burning in the stylish hearth besides us. A warm gush of air embraced the room as the logs protested and cracked and poured a glowing light over the wedding invitations lying in front of us. For a short spell, I thought that I could hear the tinkling of the glasses filled with red velvety wine and golden sizzling champagne as the guests toasted to the newly married couples.